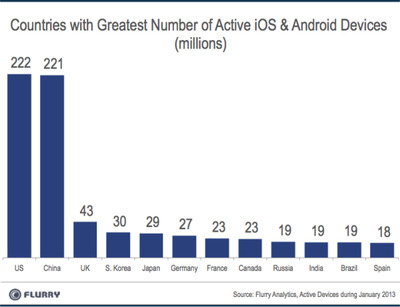 China has overtaken the US as the world’s top market for smart devices—tablets and smartphones running Apple’s iOS or Google’s Android operating system.That’s the conclusion of a new report by Flurry Analytics, which tracks usage and device characteristics across a large number of mobile apps. 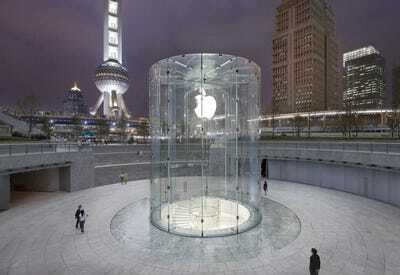 In January, the US had 222 million active smartphones and tablets, versus 221 million in China. 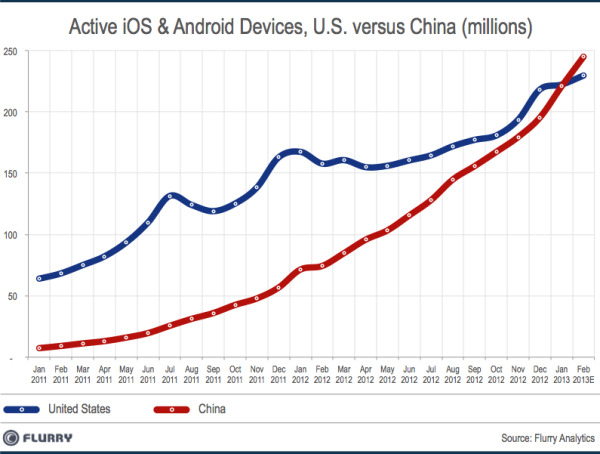 By Flurry’s estimates, China should finish the month well ahead, at 246 million devices versus 230 million in the US. 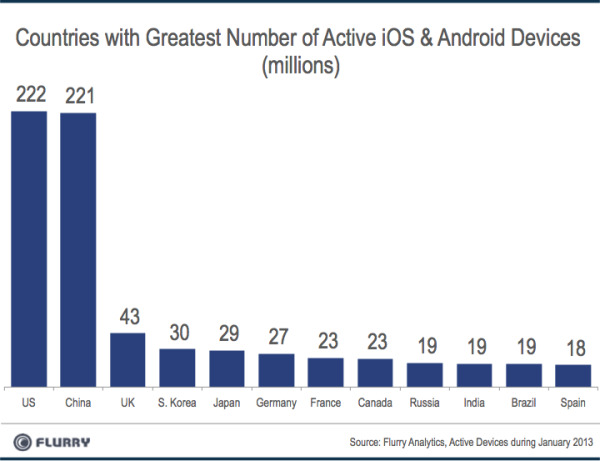 China and the US are the two markets that really matter in smartphones; the third largest is the UK at 43 million devices. That’s why Apple has made China such a big priority, and started breaking out its revenues for the Greater China region for investors.